The medical device market is in the midst of a transformation. Major high-tech players such as Google, Amazon, and Apple have entered the healthcare sector, bringing a spirit of innovation and powerful software capabilities to a historically hardware-driven industry. With the rise of mobile technologies and IoT, along with expectations that digital health will continue to scale to a population beyond early adopters, medical device manufacturers have begun investing more heavily in digital health. Ernst & Young's 2018 Pulse of the Industry report states that only 16 of the 43 therapeutic devices that received FDA premarket approval for the 18 months between January 2017 and June 2018 had a digital health component or made use of data analytics. Medical device companies that fail to invest in digital health R&D may have a tough time staying relevant in an increasingly data-driven healthcare sector. 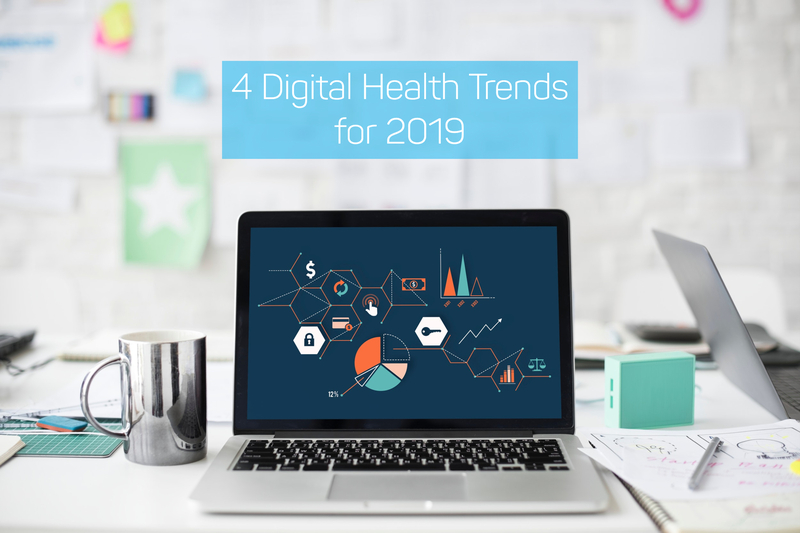 What does 2019 hold for digital health and medical devices? Here are a few developments to watch. Electronic Medical Records (EMR), diagnostic imaging, and health apps gather oceans of data, and healthcare organizations and medical device manufacturers are just scratching the surface of how to harness and make the best use of that data, as well as how to ensure the security of that data. Data is expanding our capabilities in the design of clinical trials. In silico clinical trials, which are individualized computer simulations using virtual trial subjects based on human models, use these large data sets in the service of development or regulatory evaluation of both drugs and medical devices. In silico trials have the advantage of running scenarios millions of times faster than in a randomized control trial, providing developers with applicable data, opportunities to identify potential hazards, and allowing researchers to determine how a device or drug may perform in different hypothetical use cases. Diagnostic imaging is another area where data is changing how we deliver care. GE Healthcare developed an app that helps clinicians find the cause of rejected X-Ray images, reducing the odds of a re-scan. Researchers are also using radiomics, a process that extracts a large number of data sets from MRI, CT, and PET images, to detect cancer, diagnose, and predict response to treatment. University Hospitals Digestive Health Institute and Case Western Reserve University's Center for Computational Imaging and Personalized Diagnostics (CCIPD), in Cleveland, Ohio, are developing a radiographic enterographic treatment score that can help clinicians distinguish between mild and severe Crohn's Disease. Researchers take standard-of-care MRI images, remove identifying patient information, and extract radiomic features. They can then apply machine learning to predict the most appropriate treatment. Historically, medical device manufacturers have focused on their hardware, often designed with a hospital or hospital clinician in mind as the end user. With the push toward value-based care, combined with consumer demand, a piece of hardware may not be enough anymore. Patient-centeredness, an outgrowth of the concept of User-Centered Design (UCD) and advocacy from patient communities like #everyoneincluded, will be key for companies that endeavor to build high-quality products for consumers. Previously, medical device manufacturers designed products with the capabilities of the technology in mind. Many of those end products have been complex, unwieldy devices that both consumers and healthcare providers have struggled to configure and operate on an ongoing basis. Infusion pumps, as an example, have had a history of numeric entry error, which leads to incorrect dosing. Designed to be programmed by skilled specialists, these devices have, more often than not, failed to adequately consider the human factors issues of daily use by the people who wear and operate the devices to self-manage therapy. Thanks to guidance from the FDA, as well as coordinated efforts from advocates from within the industry, healthcare providers, and patient communities, device manufacturers now focus on designing products with the end user in mind. If a person can’t use a product correctly, the fault lies with the designer of the device. Simple, intuitive design may be more likely to improve both adoption rates and likelihood of successful therapy. If a device manufacturer can prove its user-centered product can improve recovery time or reduce adverse events, they will also have a distinct sales advantage. Stryker's JointCOACH, for example, includes not only joint replacement, but a user-centered engagement and education platform. Through the platform, patients can talk with their care team before surgery until up to 90 days post-discharge. The platform also provides pre-operative preparation, medication, and recovery information to help ensure a more successful procedure. The latest digital health technology involves sensors of every shape and size: biosensors, pressure sensors, optical sensors, chemical sensors, and others. Developers use these sensors in wearable and even ingestible products. "Sensors in devices and on—or within—the human body have the power to link data collection to powerful algorithms, which will transform existing practices and take us into a new paradigm of individualized care," the Ernst & Young report states. Researchers at Massachusetts Institute of Technology, Draper and Brigham and Women's Hospital have created an ingestible, 3D-printed capsule that's designed to stay in the stomach for a month or longer. The capsule will take readings and deliver medication based on those readings. The researchers have generated proof-of-concept data in pigs and are preparing for human testing. Empatica, a company in Massachusetts, has released Embrace—the first FDA-cleared smartband used to predict seizures in people with epilepsy. The device monitors sympathetic nervous system activity and uses machine learning to predict unusual patterns that may be associated with seizures. While sensor-enabled wearables have been rising in popularity for several years now, 2019 will see a surge of predictive technologies, with machine learning making use of the data these sensors generate. When healthcare providers are provided with tools that can help them tap into data a user chooses to make available or data that a device may generate, they will be able to provide targeted, individualized care on a per patient basis, called precision health. Precision health considers a person’s genetic makeup, their environment, and their available health data to help predict disease risk, diagnose disease, and provide targeted treatments. The true end user of a diabetes device has long been the person with diabetes and their clinicians, but that hasn’t always been reflected in the design of products. As diabetes device manufacturers begin investing in more thoughtful ways of interacting with big data and on employing artificial intelligence and machine learning, IoT, and other technologies, they will position themselves to provide more effective, user-centered care. And our focus is the same. At Bigfoot Biomedical, we've invested from the outset in leveraging innovative digital health trends and best practices with the goal to make life with insulin-requiring diabetes easier and free people to live the lives they choose. We're working to make devices that will leverage data in a way that could streamline care for people with insulin-requiring diabetes, their providers, and insurance payers, while not making data a focus for our end users. As many of our team and our loved ones are people impacted by insulin-requiring diabetes, every element of our design has the user in mind as we continue to work toward the goal of improving the experience of care in diabetes. We understand that managing insulin-requiring diabetes is a complex process, and it's one we're working to simplify - for ourselves, for our loved ones, and for the greater community of people with diabetes.